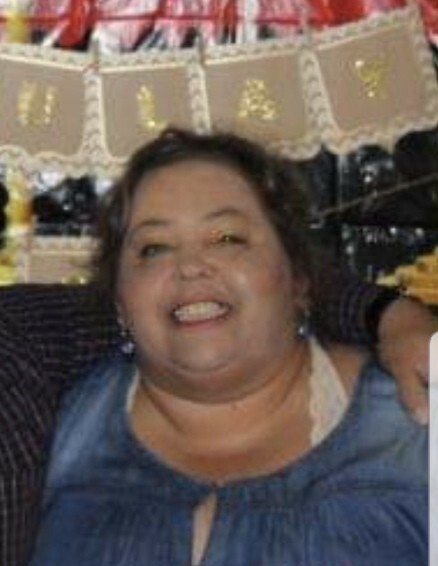 Julia Elaine “Julay” Rivers, 50, passed away March 28, 2019 in Mount Vernon, Alabama. Julay always helped others and was active in her community. She loved her family, especially her sons. Julay will be dearly missed by all who knew her. She was preceded in death by her mother, Annez Byrd. Those left to cherish her memory are her sons, Joshua Rivers and Joshua Byrd; father, J.T. Byrd; brother, Tony Byrd (Cathy); nephews, Christopher Byrd and Dylan Byrd; niece, Cheyenne Byrd; special cousin, Christine Lofton; other relatives and friends. The family will receive friends from 11am until the 12pm funeral service on Monday, April 1, 2019 at Simple House of Praise Church with Rev. Rodney Dean Hopkins officiating. Burial will be in Byrd Cemetery. Online condolences may be given at www.freemancitronelle.com. Freeman Funeral Home – Citronelle, Alabama.